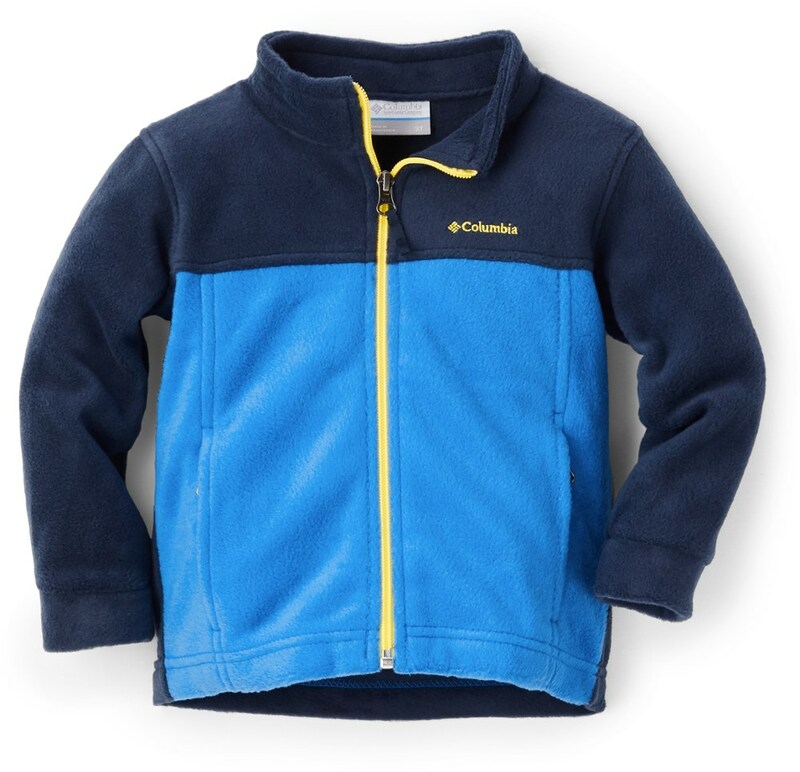 The Columbia Toddler Boys' Steens Mt Overlay Hooded Fleece Jacket is more protective than most fleeces, which is good, because he's going to need it. 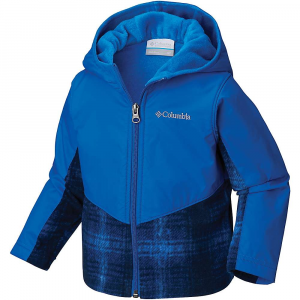 Your little one will be well prepared for winter with Columbias Infants Steens Mountain Overlay Hoodie. 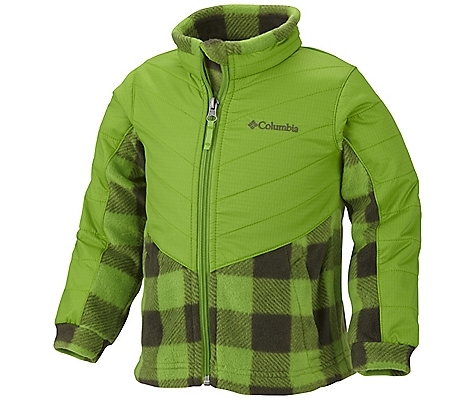 Omni-Shield advanced repellency overlay sheds light rain or snow. 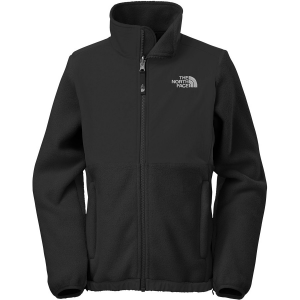 Made from warm 100% polyester MTR fleece. Imported. 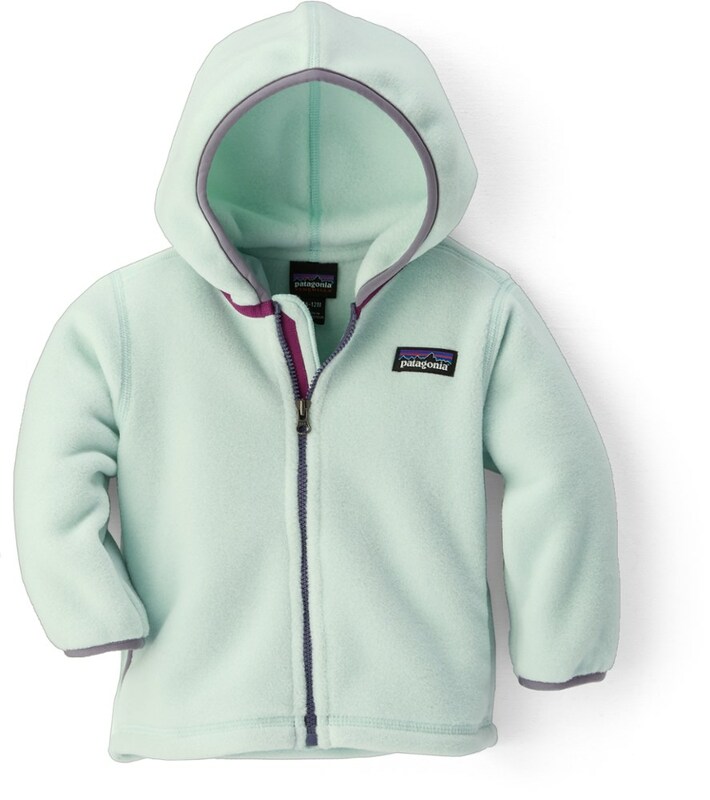 Sizes:0-3 mo., 3-6 mo., 6-12 mo., 12-18 mo., 18-24 mo. Colors:Black Timberwolf, Camelia Rose Zigzag, Cupid Critters, Miami Zigzag, Mountain Red Buffalo, Pacific Rim Lumberjack, Pixie Floral, Soft Violet Floral, Super Blue Critters, Super Blue Lumberjack. Size: 12-18 MONTH. Color: Super Blue Critters. Gender: Female. Age Group: Kids. Pattern: Floral. Material: Polyester. Type: Jackets. Construction: Omni-Shield advanced repellency overlay. Imported. 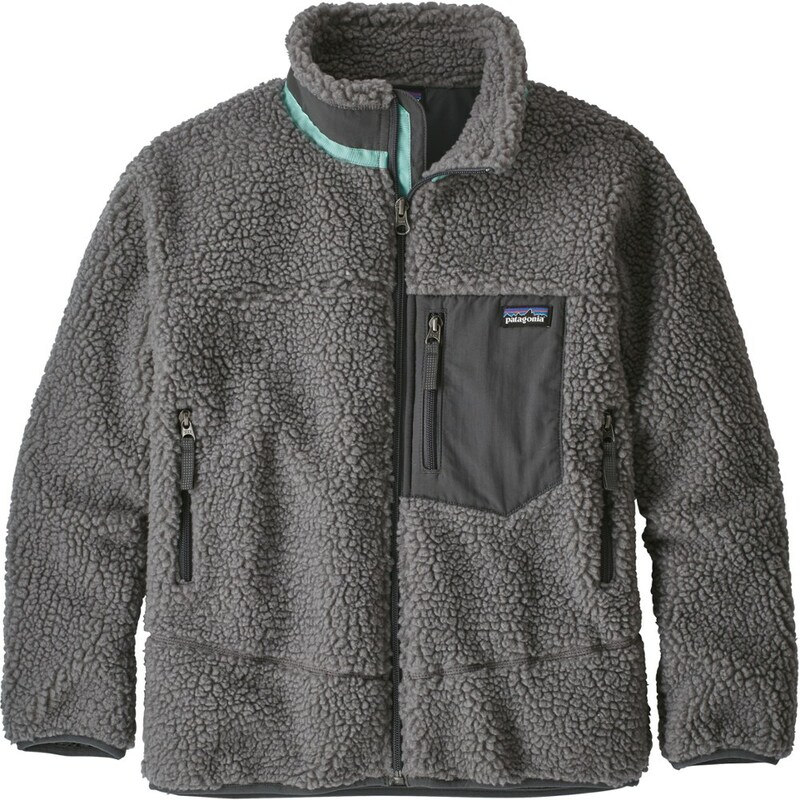 Fabric: 100% polyester MTR Fleece, 250g. 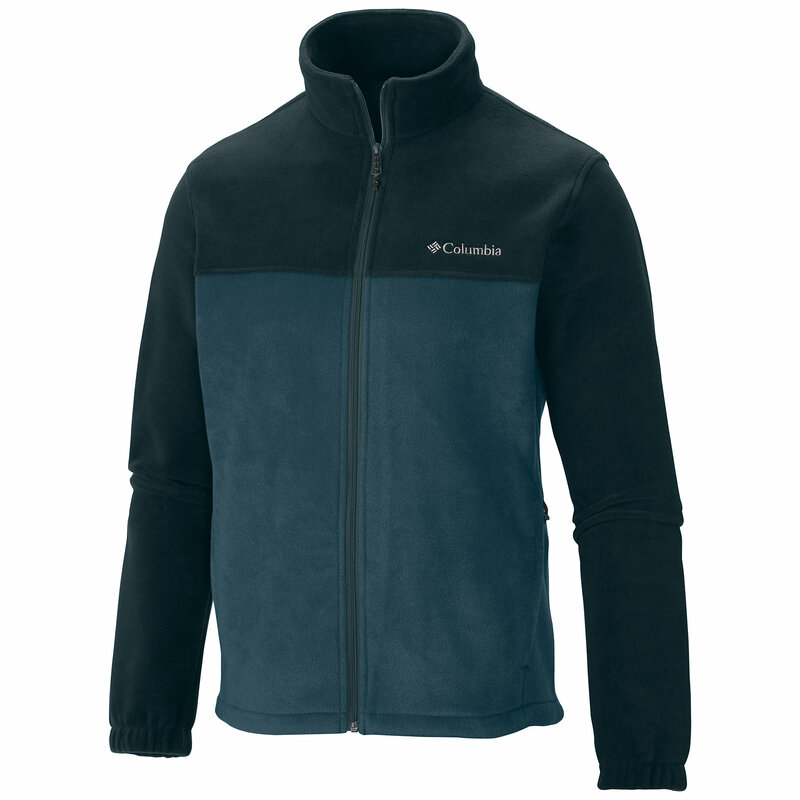 A multitasking fleece jacket built with a combination of wind- and water-resistant nylon overlays and cozy soft filament fleece, the Steens Mountain Overlay Jacket will keep them warm in cool weather.